Molly's Ellis Island story reminded me of the power of family and gratitude. 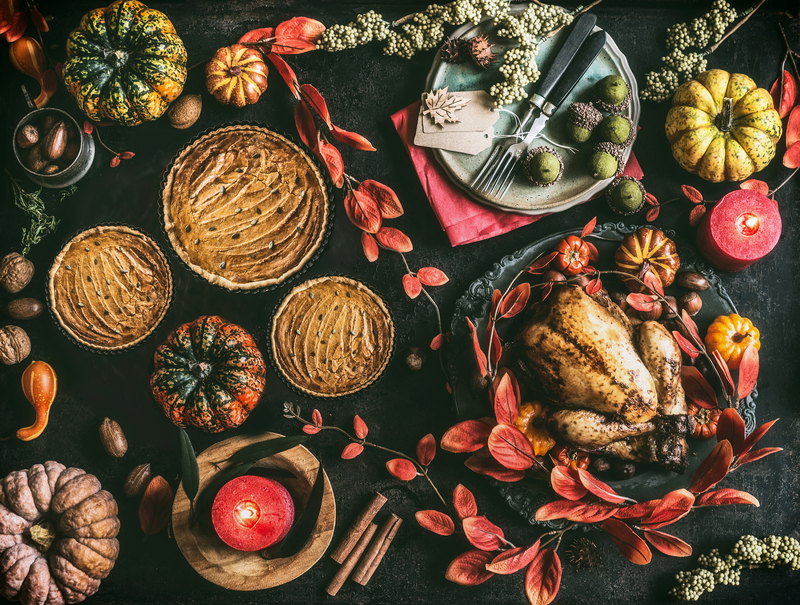 Even in our country’s more recent history, there are examples of Thanksgiving representing more than just the start of the frenzied holiday season — when it signified a defining touchstone in life, an inspirational reminder about those who overcame personal adversity and difficult challenges, and were grateful to have survived. I recently spent some time with a friend who considers the Thanksgiving of 1907 as one of those historical milestones still celebrated by her family. That year, President Theodore Roosevelt signed a special proclamation urging Americans to observe the day with prayer, his request even more significant because it also marked a year when over a million immigrants passed through the Great Hall at Ellis Island — a time when people from all parts of Europe came looking for a better life and a new beginning in a strange and wonderful country called America. One of those immigrants was a woman named Molly. From her family records, I learned Molly was a slight woman and about 30 years of age at the time she made the crossing. She had lost her husband to cholera three years prior and, as a widow, she knew the transition to a new life in another country would be difficult. She would have to leave everything behind, sail across the ocean to an unfamiliar city without the promise of a job, a place to stay, or a single friend to help her get settled. And she would have to do it with her 7-year-old son, William. For over two years, she had saved her money — enough to buy third class passage on a steamship. And right up until the day of sailing, her friends tried to talk her out of leaving. “Even the voyage itself will be a challenge,” they told her. Third class passengers (called steerage) were restricted to the bottom decks, where they often spent the majority of the two-week Atlantic crossing in their bunks, seasick and restricted from the open decks and fresh air. But Molly was determined. She wanted to raise William where he would have the opportunity to obtain the education she never received, and to achieve financial independence equal to his efforts. She wasn’t making the trip for herself. She was making the change — the sacrifice — for her son. Like the other steerage passengers, Molly and William boarded the ship and settled into the cramped public accommodations. They shared six bathrooms with 800 other people and waited in long lines for a meal of soup and stale bread — with Molly always keeping a watchful eye on William. At night, she told him stories about the school he would attend, the new friends he would soon have, and about all the wonderful things they would see and do together in a magical city called New York. She planned to find work in the garment district. She had been told laundries and tailors were the best options for immigrants, and with her sewing skills, she hoped to find a job that paid well enough to afford a one bedroom flat in a boarding house on the lower west side. It was where the poor eked out a living, but it was a start. And that was all Molly wanted — a chance to provide a better life for her son. It’s difficult to imagine the loneliness — the fear — that 7-year-old William was forced to endure. With no family or friends, he found himself abandoned and helpless. During my conversation with his granddaughter, she described it best: “It had to be hell on earth.” Reserved, in this instance, for the innocent. Unfortunately, William’s situation was not the exception. 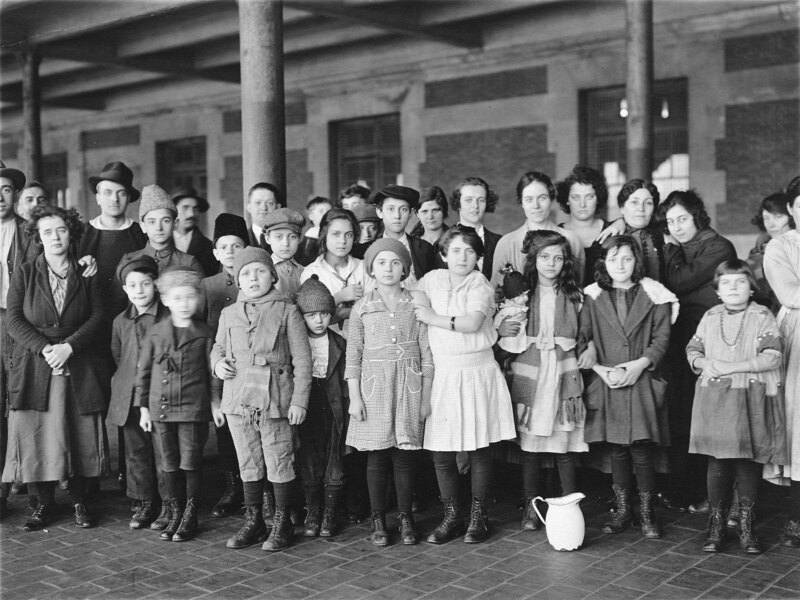 Every year, thousands of orphans were shuttled from Ellis Island to waiting jails, almshouses, and orphanages to suffer an unimaginable childhood. Even as bad as those choices were, the alternatives were worse — living in the slums, on the street, or being turned over to the Children’s Aid Society to be shipped west on the controversial Orphan Train, where both boys and girls were indentured to host families who needed able-bodied laborers, regardless of age. William barely nodded, but for Betsy and Ben Hansen, it was enough. A few minutes later, they were helping him into Ben’s supply wagon, making sure he saw the small bag of clothing they had retrieved from the terminal — the clothes Molly had packed for her son. Betsy and Ben had found William just minutes before the missionaries arrived. Ben was in the terminal to make a delivery of steam pipe to one of the ships docked in New York harbor. On that particular day, Betsy had decided to tag along to have the rare treat of enjoying lunch with her husband. Married for eight years, they lived above the pipe-fitters shop that employed Ben. That evening, William sat between his new sisters and ate his first Thanksgiving dinner in America. And although the menu was quite different from the traditional fare we enjoy today — a chicken took the place of turkey, and each family member enjoyed half a sweet potato — the table was overflowing with unconditional acceptance. Later that night, William slept on a small couch in the living room. But even in his fragile and confused state of mind, he somehow knew he was safe. It was nearly a year before William made it through an entire day without missing his mother. And it was on that very same day that he called Betsy “Mom.” It happened while he was headed out the door on his way to school. Betsy waited until she was sure William was completely down the stairs before she let go of the tears she’d been holding back for over 10 months. Finally, she knew — William was part of the family.